Me: So you have a younger sister right? What's her name? N.: Yeah, her name is Zala. Me: Ooh that's different! What does it mean? N.: It doesn't mean anything, my parents just came up with it. Me: Oh? Hmm... is it related to zalzalah (earthquake), you know like Surah Al Zalzalah? Chloe: Oh yeah, it could be. News reports about a massive earthquake of about 7.0 on the Richter scale had taken place in Christchurch (a city about 45 minutes away by plane) were all over the media. Texts messages were sent around and Facebook status updates about the earthquakes were posted. 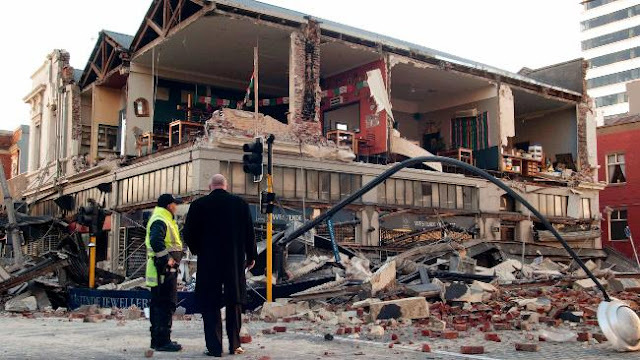 Christchurch experienced aftershocks throughout the day and the city was literally shaken; buildings were reduced to rubbles, roads cracked and people were injured and in shock. Debris were reported to be everywhere in the city centre and power supply was disrupted. Although we felt the earthquake we weren't really affected by it. 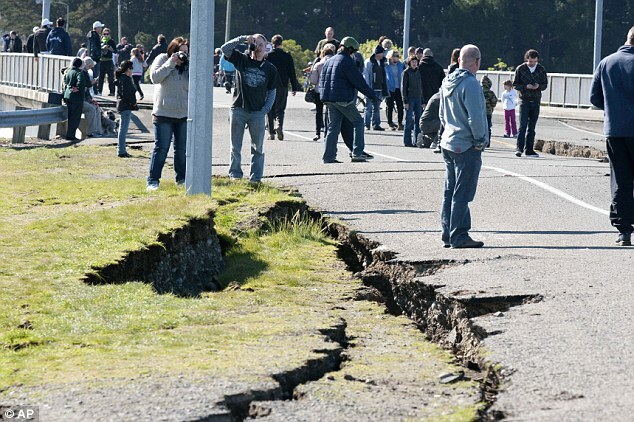 Earthquakes and tremors are no strangers to people who live in New Zealand but it has been quite a while since an earthquake of this magnitude happened. I texted some friends in Christchurch to check if they were okay and alhamdulillah, they are all physically fine. Nothing more than some broken plates and some mess to clean up. Some feared another major quake would happen but so far it's been clear. The government has ordered an evacuation and a curfew for people who live near the central business district (CBD) just in case. By looking at images of the aftermath I can understand how shaken Christchurch residents must feel right now. They reminded me of scenes from that movie called 2012. Funny how we were talking about Surah Al Zalzalah just hours before the earthquake happened. SubhanAllah, another reminder for all of us during the last days of Ramadhan. I should also mention how it was also snowing, raining, hailing and then back to sunny that day before the earthquake happened. Freaky weather. Coincidence? I think not. P.S. I think Lailatul Qadr was last night. It was very, very calm and still. I couldn't even feel the slightest breeze and the weather was temperate; not cold at all considering that it was snowing the day before! Plus it was the 25th night of Ramadhan. Allahu3alam. What do you guys think? What did you experience last night? Man I have family over there and was shocked when this happened. The clever guy over at http://www.forecastfortomorrow.com forecasted that there are these bigger geographcial events like this coming. He called the stockmarket crash back in 2008 also, gold rising and a few other things, and has a very intresting site. 2010 - 2012 is sure going to be and intresting time period ey?. wow subhanAlllah. Hope they don't get another one. Yeah everyone is saying Lailatul Qadr was last night. I didn't go out myself. But they say it was cooler and calmer than usual. thank God everyone's okay. about the LQ, well i'm not so sure about that. back here in malaysia, they're having a big fuss that it's tonight (i don't know where they get that from). Anon: Mum spoke to some of our family friends in Chch today and they said they can still feel the aftershocks today. I totally agree, 2010 onwards is going to be a very interesting ride for us! Smart CoOkie: Me too, I can't believe such a huge disaster has hit a nearby city. It's a real eye opener. Yunne Osman: Yeah everyone does have different opinions about LQ lol. I try to follow the sahih hadeeths but Allahu3alam. Selamat Hari Raya to you and to the little cutie! that's me: Apparently it was really, really scary when it happened in Chch... we only felt tremors but only God knows what they felt over there. Goes to show you can never tell when disaster might strike and when would be our last days =/ Ooh it was nice in Egypt on Saturday? SubhanAllah.